Note: the video refers to the Flash Component Inspector, but in current versions of Flash, widget parameters are set in the Property Inspector. The NETLab Toolkit is a visual system for creating tangible interactions. It’s composed of two parts, the Widgets and the Hub. The Widgets are the visual interface for the toolkit, and the Hub is a server application that coordinates communication between your widgets and external devices and protocols such as the Arduino and OSC. The widgets are drag-and-drop screen objects that do different functions, and hook together to create a project. Typically, they receive values, do something with those values, and then pass them on to the next widget. 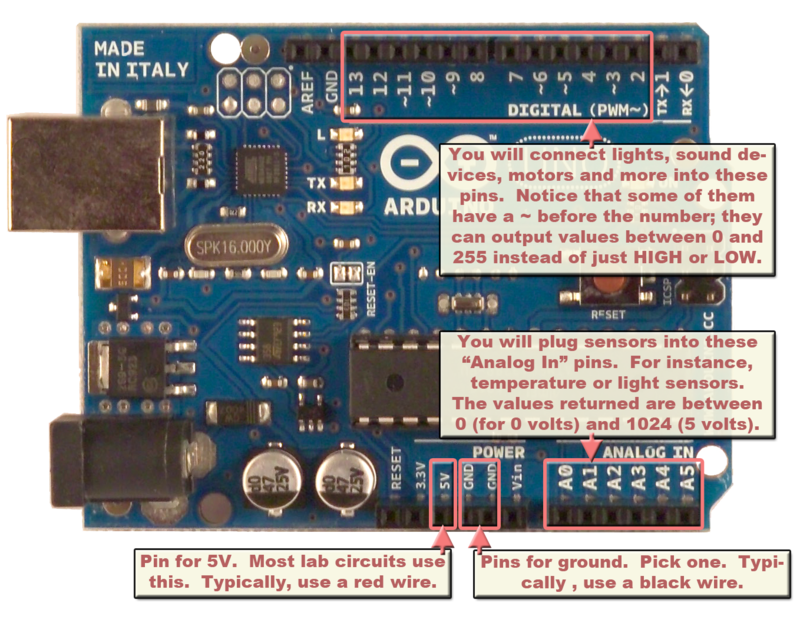 For example, the AnalogIn widget receives values from an external device like an Arduino, allows the user to adjust those values to best work in their project, and then passes on the values to another widget such as the ClipControl widget. The ClipControl widget receives the values, and then uses them to set a property of a graphic on the screen, for example the left-to-right (X) position. Most widgets have on-screen controls that can be used interactively, as well as parameters used for the widget settings. For example, the ClipControl widget has a screen control to set which graphic property is controlled, and a parameter that defines which other widget it is receiving values from. The Hub is a server that works in the background as a separate application, and communicates with a variety of devices (e.g. 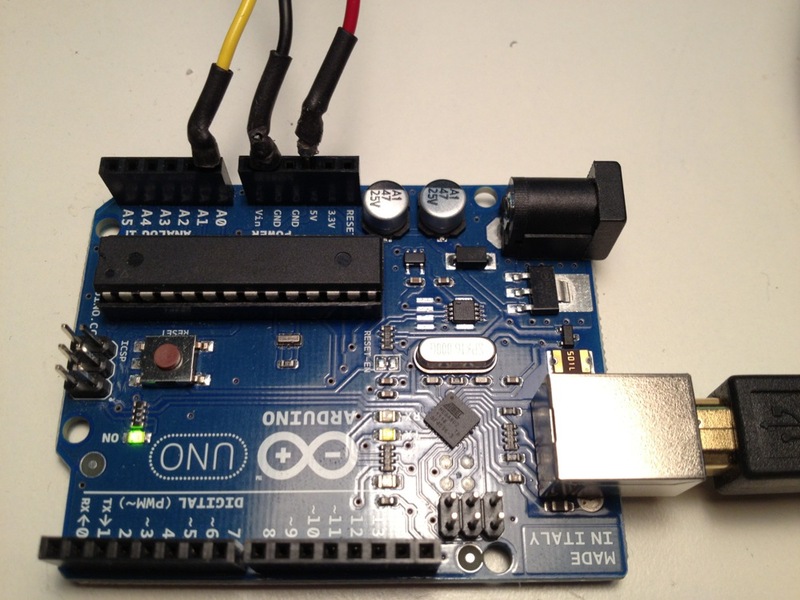 Arduino or XBee) and software (e.g. OSC applications like OSCemote). Widgets communicate with the Hub to get or send output. Follow the steps below to get started using the NETLab Toolkit. You can click on the title of each step to to expose or hide its contents. Download: Go to the Download page to get the current version of the toolkit for your platform. The file is a compressed .zip file that will decompress into a folder with all the necessary files. Install Widgets: Double click the NETLabFlashWidgets_X_X_X.zxp file. This will launch Adobe Extension Manager (be sure you have it installed from Adobe Cloud) which will do the widget installation for you. Install Hub: Put the entire HUB folder into your applications/programs directory (do not separate the Hub application from the folder it comes in – if you do, it will not work). You may want to put the Hub application in your dock or start menu. The Hub requires that Java be installed on your computer. Mac: Java is installed by default on the Mac up to OS X Snow Leopard (10.6). From Lion (10.7) on, it is optional. When you try launch the Hub the first time, you may be asked to install Java. Windows: If the Hub does not stay open when you launch it – Windows will automatically ask you to download Java if you don’t have it installed. If you need to, download Java for Windows here. The Arduino must have the Standard Firmata sketch installed on it. Plug the Arduino into your computer with a USB cable. To see if everything is working, you can hook up a knob to your microcontroller and have an AnalogIn widget display the position of the knob. Watch the video Intro to NETLab Toolkit to see all of this in action. Hook the center wire from the knob, which is the “signal” wire (usually WHITE or YELLOW) to the desired port on the Ardiuno, Analog In Port 0 in this example, marked “0”. 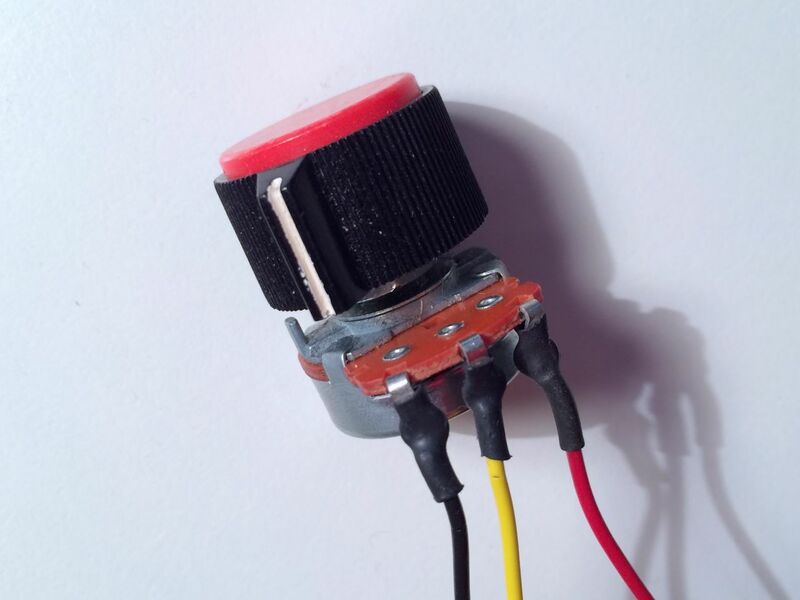 Note: The left and right (ground and power) connections on a knob can be swapped, which will result in a reversal of which part of the knob is zero, and which is the maximum amount. Click on the “Connect” button at the top right of AnalogIn to establish a connection with the microcontroller (note: it may take a few seconds for the connection to be established). Make changes to the sensor and see them reflected in the AnalogIn indicator. Add a ClipControl widget to the stage and in the Property Inspector (lower part) set its “InputSource” to the name you gave the AnalogInput (e.g. “input0″). Create or import a graphic on the screen, and turn it into a symbol. Test the movie again, and experiment with the different ClipControl properties and see how sensor changes affect the symbol. The toolkit has widgets for almost every common task based on the experience of designers. Input-Output – These widgets communicate with microcontrollers, external devices, software, and other computers. Media – These widgets control sound, images, and video. Logic-Processing – These widgets enable the processing and interpretation of values as they go from one widget to the next. Any changes you make to a widget while the movie is running, e.g. to the min and max of a AnalogInput widget, are saved in an XML file with the same name as the Flash file. So if the Flash file is named myFirst1.swf, the corresponding settings file will be called myFirst1.xml in the same directory as the SWF. The next time you run the SWF, the run-time settings will be restored to where they were during the previous run. If you move the SWF, be sure to also move the XML file. Simiarly, if you change the name of the SWF, you can copy the XML file to have the same prefix name and the settings will be preserved for the newly named file. If you do not do this, the settings for all the widgets will return to their defaults. Get the latest version of the stand alone Flash Player Projector (non-debugging version). Go to the web page to manage your Flash Security Settings. In the upper right of this page (under “Global security settings for content creators”), a Flash application will open with a title of “Adobe Flash Player Settings Manager”. Sometimes this is slow, and takes a while to open. In this Settings Manager, select the middle “Always Allow” button. Then click on “Browse for Folder…” and select the folder where your SWF is located, OR simply select your entire hard drive, or desktop, or user folder so you never have to go through this process again. If you are using an external drive for your work, you’ll need to select that. To run your project outside of Flash, find the .SWF file. Right (control) click on the file, and open it with the Flash Player, latest version on your system (there are often many copies of this application on your computer) rather than Flash Pro. To show your project in full-screen mode, use command F (Mac) or control F (PC) to go full screen. On the Mac: If you are working with the Make Controller, or accessing a remote Hub, or having some other mysterious problem where everything seems right but you are not getting data from or to the controller, be sure to check if you have your firewall turned on. If it is, it will prevent things from working write. You can turn it off in System Preferences>Security>Firewall. We’ve also seen problems if Little Snitch is running. On the PC: Often when you start up the Hub, Windows will let you know that it has blocked the program’s network access. You need to UNBLOCK when this dialog occurs. If after installing Java the Hub still does not work, you’ll need to make sure Java is in your “Path” environment variable for XP. The process for setting this up is outlined here – instructions here or get a windows expert to help you with this since it is a bit complicated. You need to be logged in as an administrator.